Medical Photography Equipment - are you paying too much? 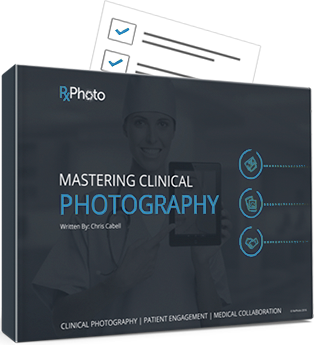 ow much should you spend on medical photography equipment? Many physicians choose a DSLR camera for their clinical photography, and most set up a dedicated photography room to ensure that their pictures remain consistent shot after shot. A skilled photographer can set a DSLR camera with the proper aperture for the room’s lighting, choose the correct lens, and set up a tripod for the camera at good distance and angle from the subject. Many features to custom tailor your pictures to adjust for lighting, movement, distance from subject, etc. “Auto” mode will not always set the camera to the best possible settings, so customization is still needed for white balance, exposure, aperture, ISO, f-Stop, etc. Compatible with most standard tripods for moderately increased mobility. Taking quality pictures requires either a photographer to be trained by the practice, or the staff to be trained to use the camera properly. Can be used like a point-and-shoot camera in “auto” mode. A DSLR camera station needs a dedicated photography room resulting in the shuttling of patients from room to room, and requiring patients to wait their turn to take photos. Photos must be manually uploaded from the SD card to a computer to be stored. As a result, photos are not easily searchable. Many features to custom tailor your pictures to adjust for lighting, movement, distance from subject, etc. Compatible with most standard tripods for moderately increased mobility. Can be used like a point-and-shoot camera in “auto” mode. “Auto” mode will not always set the camera to the best possible settings, so customization is still needed for white balance, exposure, aperture, ISO, f-Stop, etc. Taking quality pictures requires either a photographer to be trained by the practice, or the staff to be trained to use the camera properly. A DSLR camera station needs a dedicated photography room resulting in the shuttling of patients from room to room, and requiring patients to wait their turn to take photos. 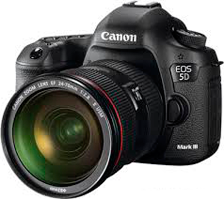 Ultimately, DSLR cameras have many features but they only benefit you if your staff is trained to use them. Without proper training, you are essentially paying a lot more money for a glorified point-and-shoot digital camera. Imaging systems come with photo management software which allows the user to more accurately catalog medical photos. Hardware can become outdated in a few years – convenient for the manufacturer as a means to upsell you the newest version. Staff members will require a high level of training to operate the software and hardware to attain high quality images. The size of the equipment limits the ability to move the camera from one room to another. This usually means the practice must have a dedicated photography room, limiting other potential uses for your office space. 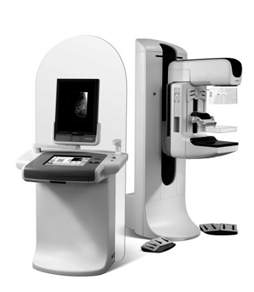 Imaging systems are designed for specific applications and help manage both photo quality and consistency. Imaging systems come with photo management software which allows the user to more accurately catalog medical photos. Hardware can become outdated in a few years – convenient for the manufacturer as a means to upsell you the newest version. Because of the upfront cost of DSLR cameras and medical imaging hardware, it may be no surprise that doctors are using mobile devices such as tablets and smartphones: especially since the quality of mobile device cameras has been improving at a staggering pace. Highly portable devices that can be brought into any exam room. Not HIPAA compliant. 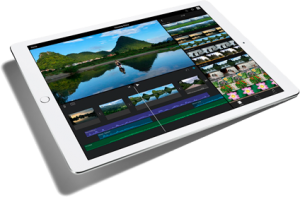 Any preferred device such as iPhone, iPad, Android phone, Android tablet, etc. may be used. Limited sensor and lens sizes. Extensive training for staff member is not required. Excellent camera specs without useless features. For instance, the iPhone 7 boasts dual lenses with 28 and 56mm focal lengths, an f/1.8 aperture, optical image stabilization, and an even brighter flash – more than enough to create quality patient photos. Highly portable devices that can be brought into any exam room. Any preferred device such as iPhone, iPad, Android phone, Android tablet, etc. may be used. Limited sensor and lens sizes. Smartphone and tablet cameras are often just as good, if not better, than standard point-and-shoot digital cameras. They do not have the features of a DSLR camera such as swappable lenses, adjustable aperture for varying amounts of light, or larger sensors for larger printouts. These features are overkill for you purposes, when a less expensive, mobile device can do the job required of your photography equipment. If treated like a DSLR camera by using consistent lighting and consistent set-up, a mobile device can take images of the same caliber as the DSLR. On screen templates and ghosting features allows “after” pictures to be perfectly aligned with “before” pictures, so that two different photographers can take the same picture at two different times. Automatically sorts and organizes your photos by patient, date, and anatomical region. Automatically stores your photos on a HIPAA-compliant cloud server that you can access from any office computer. Staff can bring their own devices, limiting big equipment purchases. Mobile device cameras are continually improving. Apple has even touted that the iPhone 7 will kill the DSLR. As these cameras continue to advance, you will find more and more doctors using them with apps such as RxPhoto for their ease of use, portability, and financial benefit – taking costs down from thousands of dollars to just hundreds.